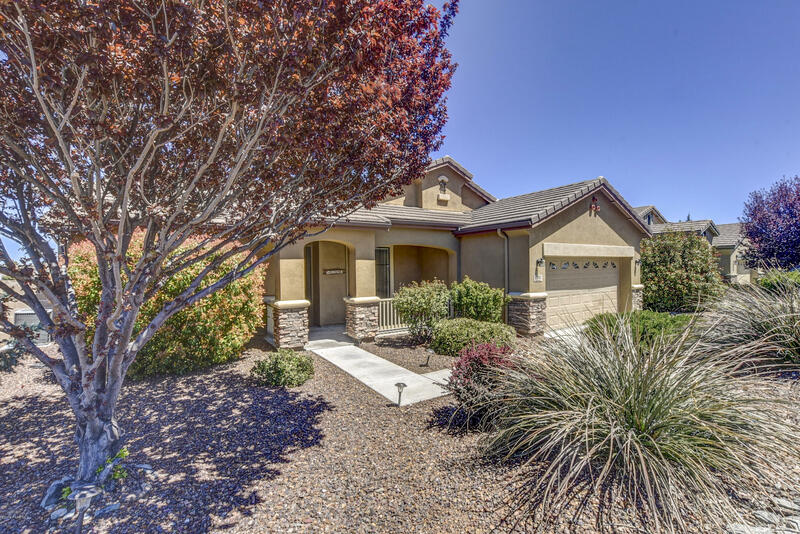 All Vista Verde Estates homes currently listed for sale in Prescott as of 04/22/2019 are shown below. You can change the search criteria at any time by pressing the 'Change Search' button below. "Totally upgraded, former model home Views of Granite Mountain and rare unblockable views of the Dells, Willow Lake and San Francisco Peaks. North/South exposure on quiet cul-de-sac. No HOA and no neighbor homes peering over backyard. Perfect privacy! Enjoy four bedrooms plus, formal living room or den, and formal dining room. No maintenance, paver backyard with water feature and gas fire-pit." 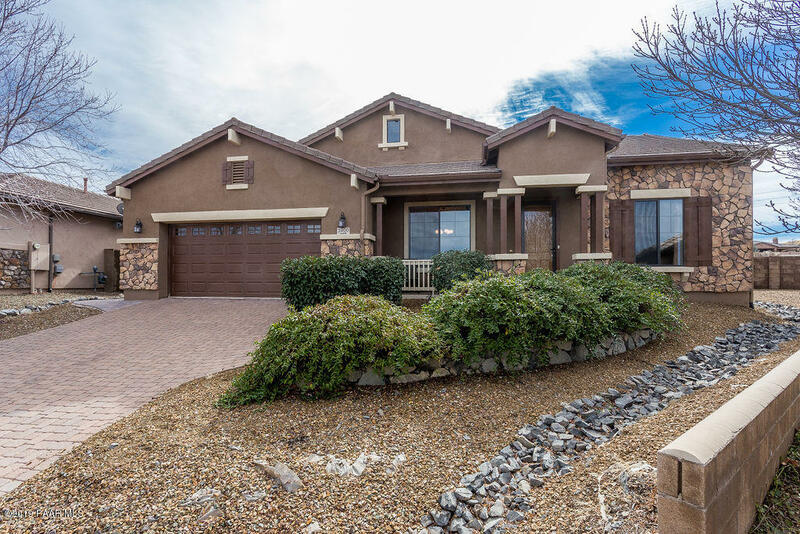 "NO HOA'S IN THIS PRESCOTT LAKES NEIGHBORHOOD, CORNER LOT WITH VIEWS. THIS NEWER LOW MAINTENANCE HOME IS ACROSS THE STREET FROM A QUIET PARK (VISTA PARK) WITH HIKING/BIKING TRAILS, PLAYGROUNDS, AND JUST A SHORT WALK TO WILLOW LAKE FOR MORE OUTDOOR ACTIVITY. DESIGNED WITH A OPEN CONCEPT, AMPLE NATURAL LIGHT AND SPLIT FLOOR PLAN WITH THE BONUS OF A PRIVATE DEN. STUNNING VIEWS OF GRANITE MT FROM THE KITCHEN AND LIVING RM AREA. KITCHEN HAS STAINLESS STEEL APPLIANCES AND HICKORY CABINETS. NEW CARPET I"